Almost all project management software has lack of displaying the outcomes of projects as a feature. This is because there is no recognized way of calculating the actual project duration compared to the authorized project duration. Data were collected through a mixed method using a Critical Incident Technique (CIT) and a survey. 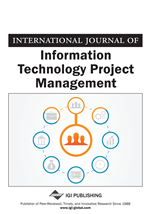 The study finds that time error can occur throughout the project execution phase. Findings suggest that challenged projects could be successful or failed projects using a model of IT Project Outcomes Testing (MITPOT). Thus, this model establishes a foundation of Project End Theory (PET). Information Technology (IT) plays a main role in introducing facilities for all sectors to build up their functions. Organizations have spent a lot of money in information technology because of an increasing understanding that IT investments may be a key foundation of competitive advantage (Imamoglu, & Gozlu, 2008; McAfee, & Brynjolfsson, 2008). For example, the USA spends more than $250 billion every year on IT projects (Standish Group, 1994). However, most recent studies have demonstrated that the failure rate of IT projects is high. According to Standish reports (as cited in Eveleens & Verhoef, 2009; Stewart, 2010), on average over a 16-year period, 29% are successful, 24% fail and approximately half (47%) are challenged projects. Saudi organizations have invested huge money in information technology, which has one of the biggest IT markets in the Gulf region (Business Monitor International Ltd., 2010). According to Business Monitor International Ltd (2010), The IT market in Saudi Arabia had a value of US$3.3 billion in 2010, and approximately US$4.6 billion in 2014. Outcomes should be success or failure. However, IT project outcomes include challenged projects. According to Standish reports, the average percentage of failed projects during the past 16 years is 71% (24% + 47%). This is a high rate of failure (see Figure 1). Even though a challenged project is not a completely failed project, it falls in a grey area. This paper uses the term Grey IT Project (GITPro) instead of challenged project. This high rate of project failures may be reflected in different perceptions of theoretical and practical knowledge. When is an IT project considered successful? Do time errors realistically occur throughout an IT project life cycle? How can the actual project duration and the actual project cost be calculated? This study first gives a brief overview of IT project success. Next, it describes the research methods and techniques used in the data gathering and analysis. Then, it presents and discusses the results. Finally, the paper summarizes the findings and contributions.